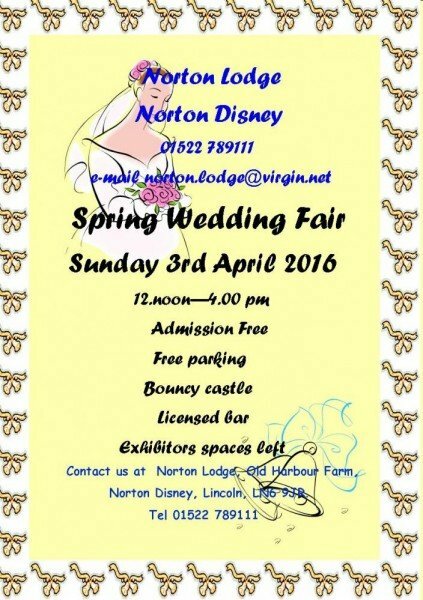 The Norton Lodge Spring Wedding Fair will take place on Sunday 3rd April 2016 (12pm – 4pm) at Norton Lodge Hoteland Conference centre in Norton Disney, Lincoln. Admission Free, Free parking, Bouncy castle, Licensed bar, Exhibitors spaces left. Come and see our fabulous venue and choose all your extras from our exhibitors.